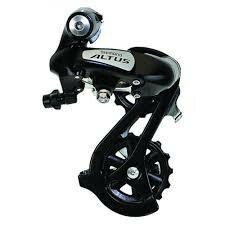 The Altus M310 is an affordable but high performing rear derailleur. Ideally suited to a 7 or 8-speed drivetrain, it has enough capacity to handle a double or triple crankset. With its light action design, Teflon coated bushings and efficient spring, this derailleur is perfect for leisure cycling and touring.